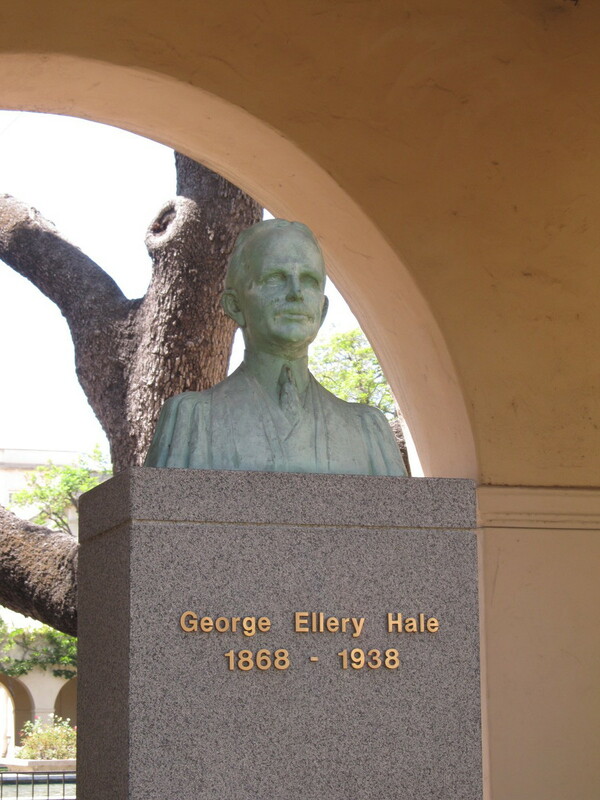 George Ellery Hale was an astronomer and one of the founders of Caltech. 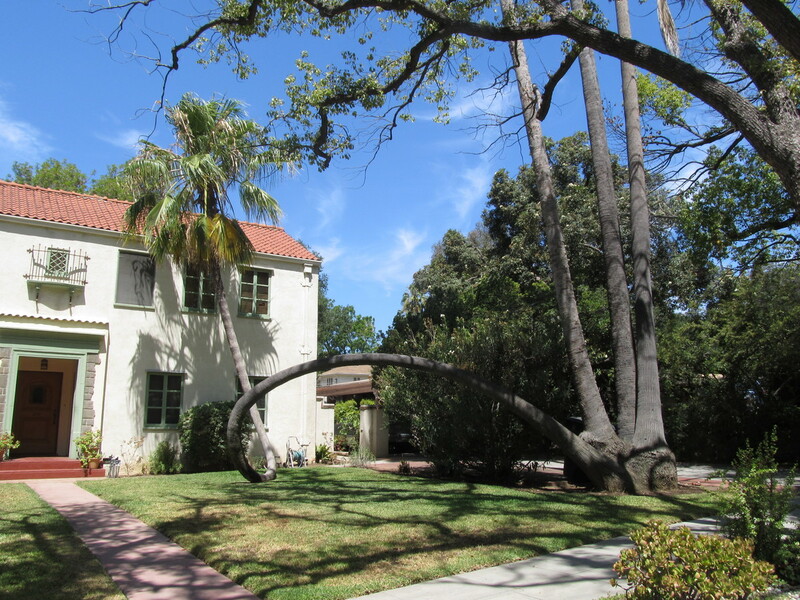 And I read recently that his old observatory, where he studied the Sun, was still standing, and only a few blocks from campus. 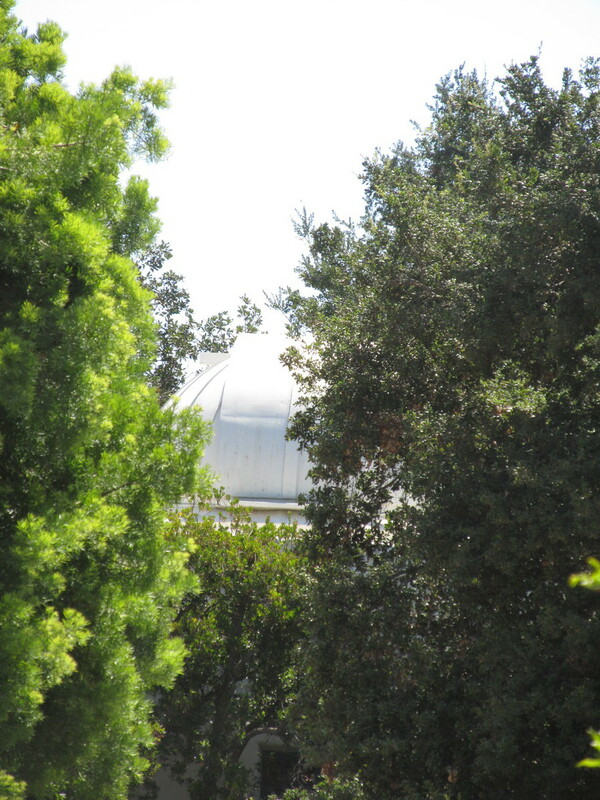 So, one day when I was climbing the stairs at Millikan Library, I took a look out the window from the 9th floor, and I could see the dome peeking up through the trees a short distance away. So today, I went for a short bike ride to go see it. It had been pretty easy to spot from up in the air, but it was a bit harder to find from the ground. The property it is on had been sold a long time ago, and a large house had been built there. So I had to cruise around the neighborhood, looking down all the driveways, before I saw it. 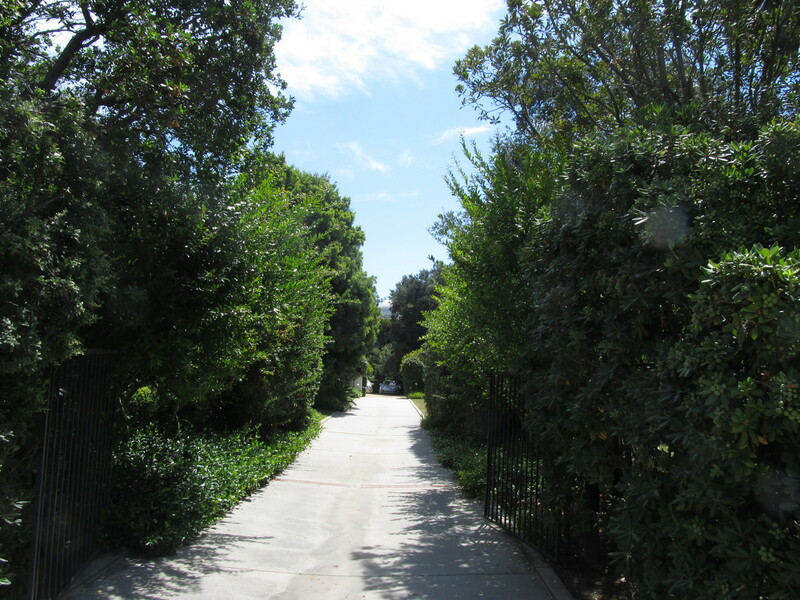 It was at the far end of a very long driveway, and jut the top of the dome was above the trees. 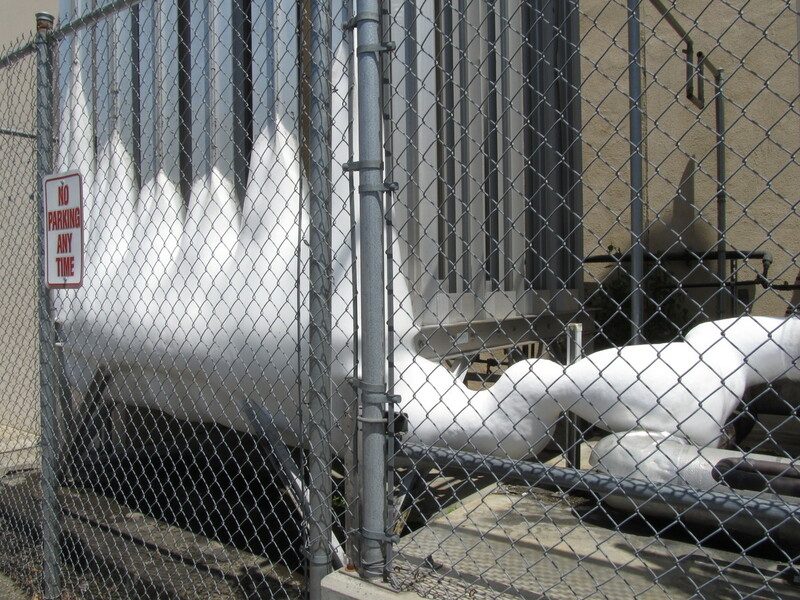 Since I’d gone to see his observatory, I took a short side trip to Caltech to see bust of Hale on campus, and also to see the giant chunk of ice that is always present on the liquid nitrogen storage over by Physical Plant and the loading dock. And on the way home, I stopped for a photo of the funky palm tree. I pass it every day riding to and from the office, but I don’t usually stop to look at it.